“Designed to deliver a world-class training environment for elite-level athletes and the general public alike, the Scottish FA was determined that Oriam would help provide Scotland’s elite footballers – female and male, from the youth levels to the senior squads – with an edge in competitive performance. 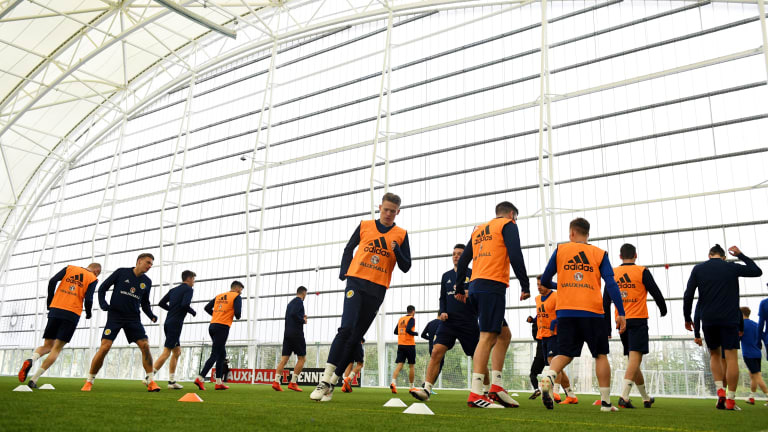 Oriam’s partnership with the Scottish FA has gone from strength to strength since the facility opened and we very much look forward to continuing to develop our relationship and help grow football at all levels within Scotland. sportscotland recently published a research report that found sports participation programmes are having a life-changing effect on those who are taking part. 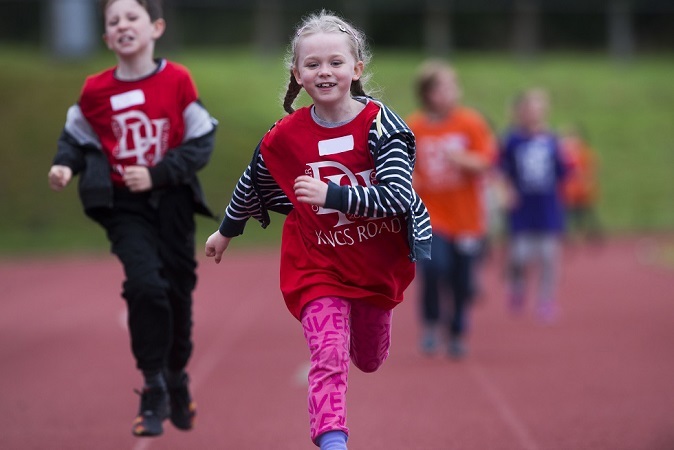 The independent research, published by sportscotland in the weeks after it was confirmed participation levels on national programmes in Scotland are at record high, praised several programmes including Active Schools for making children and young people feel healthier (98 per cent) and more confident (92 per cent). Welcoming the findings, sportscotland chief executive Stewart Harris said: “In recent years we have seen a significant increase in sports participation thanks to national programmes across the country including Active Schools and our support for local clubs and community sport hubs. Our work in these areas is changing lives, as can be seen from the findings of this research. Minister for Public Health and Sport, Aileen Campbell, added: “The success of Scotland’s athletes at the Commonwealth Games coupled with the findings of this research provides clear evidence that Scottish sport is growing in strength and depth, with sportscotland and Scottish Governing Bodies developing talent and creating opportunities at all levels. Oriam will be running a varierty of summer camps which will provide opportunities for kids aged 4-17 to take part in sport and physicla activity. For more information about these camps click here. Check out the latest issue of Nutmeg magazine to read what our very own Performance Sport Manager found out when he travelled to the German football association to speak with Markus Weise: the man heading up their new academy. In many ways the new DFB academy, based in Frankfurt, will be Germany’s own version of Oriam and will serve as the new home of German football. 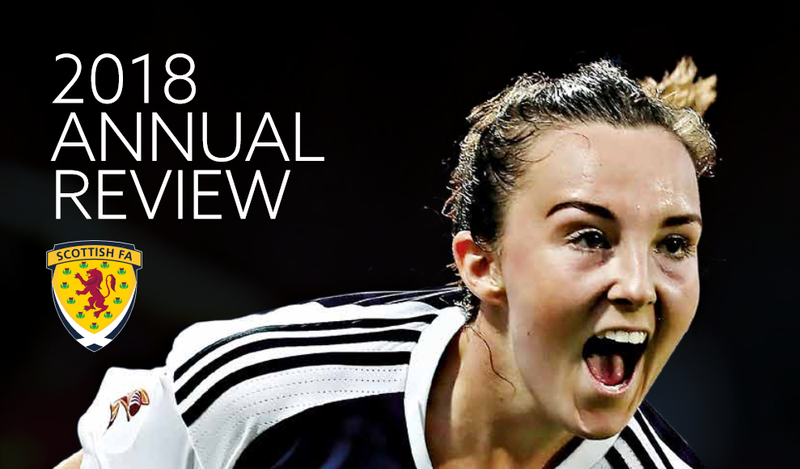 The article touches on many aspects of the new development and ultimately asks the question: what can Scotland learn from the current World Cup champions and will we see Germany in the final again this time around? Check out this article by FIFA.com about how the Scottish FA are engaging with our performance facilities. Scotland’s Under-21s secured a special success over Toulon tournament hosts France. Captain Oliver Burke’s strike was enough to separate the two sides but this really was a victory that owed everything to 14 players who left everything on the pitch. While a talented French squad piled on the pressure late on, Scot Gemmill’s side stood tall and played patient, possession-based football to ensure keeper Robby McCrorie was only called into action on a handful of occasions. On the back of a hard-fought opening draw with Togo, this was Scotland’s first win over France at any level since James McFadden’s legendary strike in Paris 11 years ago. Our partners at Scottish Rugby have announced they have applied for planning permission to install a new playing venue in the grounds of BT Murrayfield, which will have a capacity of up to 7,800. The development is intended to be the new home of Edinburgh Rugby and would be located on a section of land currently used as training pitches. A detailed planning application has been submitted to City of Edinburgh Council to provide a fan-focussed, playing venue in the city that will incorporate a new 3G surface and covered spectator stands around all four sides of the ground. Edinburgh will play its home matches on the international pitch at BT Murrayfield for the coming 2018/19 season, with the aim of commencing the 2019/20 campaign in the new purpose-built venue. Scottish Rugby has designed the project using flexible infrastructure and is open to making the space available to other users from the wider rugby community in Scotland, and the possibility of other sports as well. 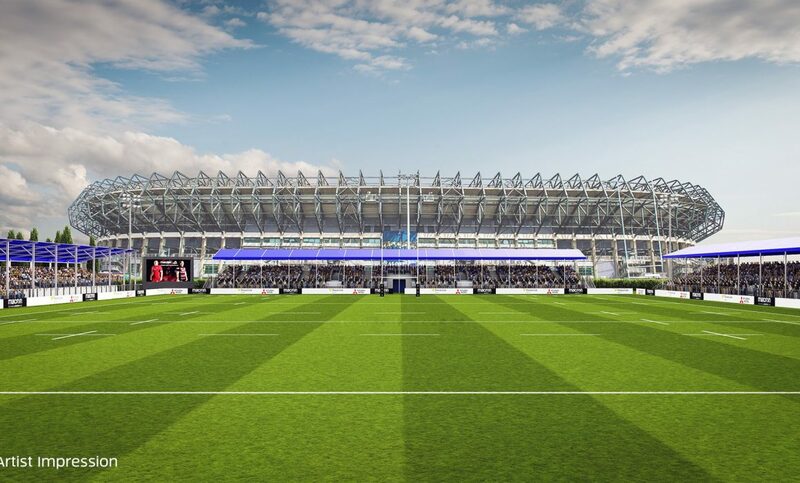 Scottish Rugby’s Chief Operating Officer Dominic McKay, who has responsibility for Scotland’s two professional rugby teams, said: “We are incredibly excited to be in a position to be able to submit this application to give Edinburgh a new home. 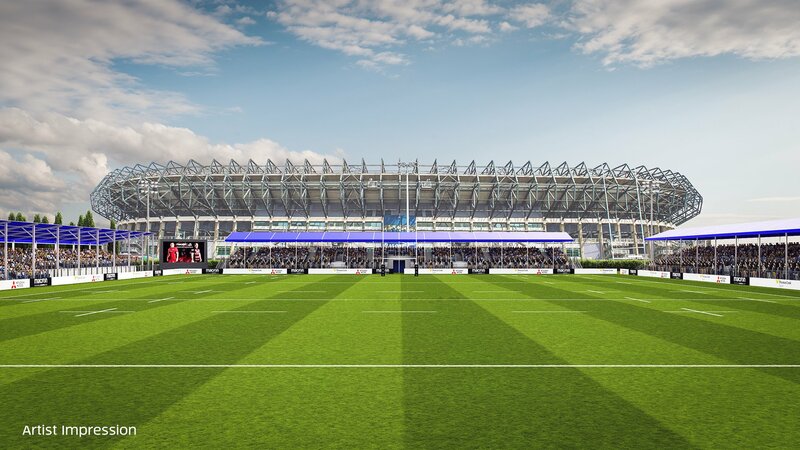 “After many years of exhausting all the potential stadium and playing ground options for Edinburgh in the local area, we have taken the initiative and will be investing ourselves to develop a venue that can help the team to grow and provide a great spectator experience. “We are fortunate to have space within the BT Murrayfield campus to comfortably accommodate this planned new facility and retain practice pitches for all elements of rugby. “We see this as adding increased flexibility to the BT Murrayfield site and believe we have submitted a robust, sensible application and hope it will be viewed favourably. Edinburgh Rugby Managing Director, Jonny Petrie, said: “Having just enjoyed one of the club’s most positive seasons in recent times on the pitch, it is hugely exciting to announce our intentions to move to a new purpose-built home. “It has been a consistent challenge to grow the club without our own ground and we now have developed plans that meet the needs of our fans and reflect the direction we want the team to be moving in. Edinburgh Rugby Head Coach, Richard Cockerill, said: “I’ve said right from the start that Edinburgh has a lot of potential but it had lacked a strong culture and sense of identity. Oriam very much look forward to continuing to work with our partners at Scottish Rugby to host the national team and other representative sides. We will also continue to work with Edinburgh Rugby to provide training facilities. The addition of this match venue will be a huge benefit to the development of rugby within Edinburgh.